Dessert. Wine. Need we say more? 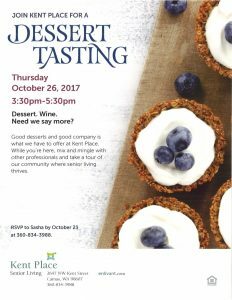 Good desserts and good company is what we have to offer at Kent Place. While you’re here, mix and mingle with other professionals and take a tour of our community where senior living thrives. 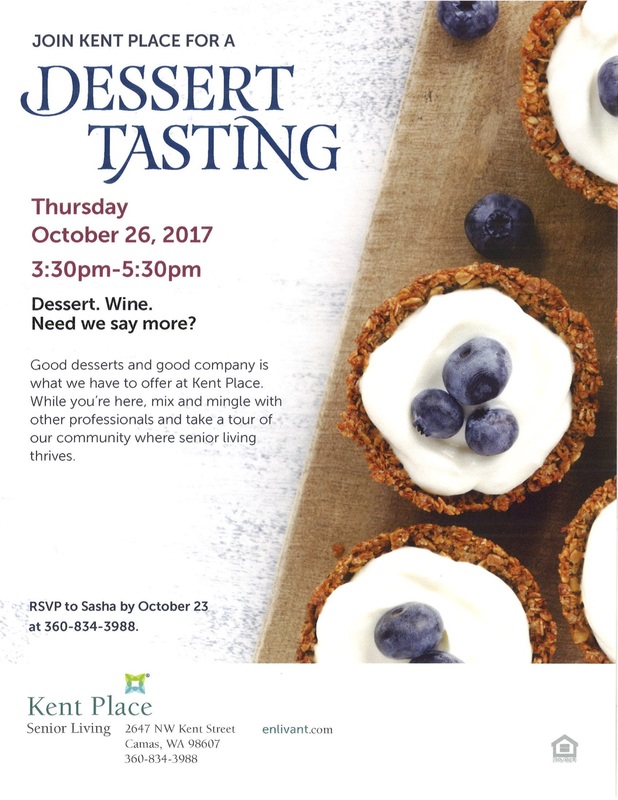 Please RSVP by October 23, 360-834-3988.